It was sunset, and the UNSC forces had lied low to try a maneuvre against us, the Sangheili. I wasn't going to let that happen. After a good friend of mine, Aloojes Gronhey, had told me of a plan by the UNSC after a recent intelligence report. "Their going to come over here and attack us from all sides! 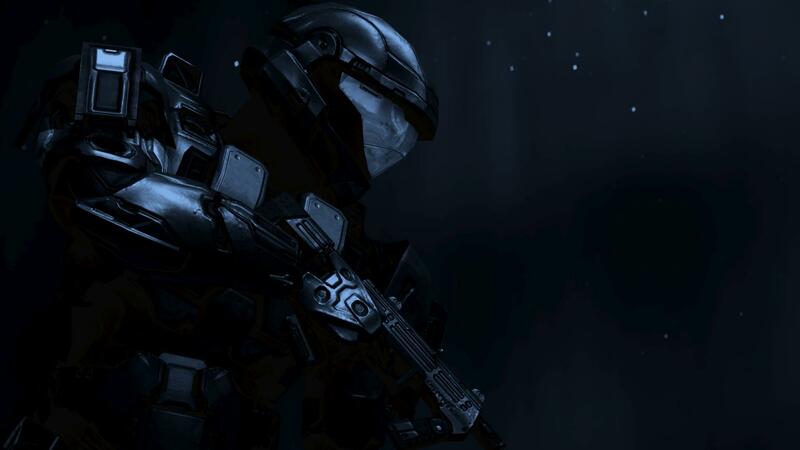 It's a squad of marines led by a spartan who are intent on taking over the city for information of on our strategies! They don't care for the safety of our women and children, they're going to devestate us and do whatver they want, and possibly threaten the elders to-" he panicked and I had to calm him down. He was far too nervous about this plan. "Slow down, don't make too many assumptions. We have our own defense forces, remember?" I said to him, trying to reassure him. But he wasn't paying attention. "They have a large force, with tanks and falcons and marines and a spartan! Our defense forces wer'nt meant to take on such a threat!" he said, believing that it was nearly hopeless. I looked down at him, dissapointed in his dissasurance to our cities defense's. "Are you really believing that human's are going to take us over for whatever the hell they want? I don't think so. I am a member of the covenatn, a damn commander of a battlecruiser! We'll take them on and send them packing back home!" I said to him, ignoring all the things he had said about this threat, and I had shouted at my men across to a nearby building to gather the weapons we had supplied. "I'll need some of you to accompany me on this mission. Get the Wraith tank and two ghosts from the storage compartment. Get the ship down here!" I had barked some orders to them, and they shuffled around, hurrying to complete my orders. Signaling to our battlecruiser, calling them, the ship came down from the atmoshere with it's few supplies, considering we lost many of our weapons and vehicles, as well as infantry, from the recent battle at skopje (see the topic entitled, Battle of Skopje, part 1 at the "battleground" section). With the Wraith and the two ghosts approaching towards us with their drivers, I had lifted my hand to stop them, as I then climbed into the tanks cannon Passenger position. I looked over at my nervous friend and told him "Stay here with the armed city defense's. They may actually need you." "Yes, very well Arlunis." he said back to me as he then ran off to the position of the city's defense. Signaling to my infantymen and the vehicles, including my wraith tank, we had moved off from area to the empty streets where we heard something. Loud, clanging sounds . "You here that? Their upon us, quite soon" I said to my force. Then, seeing two falcons in the air, flying towards us, I yelled "Attack, ghosts, atack them! Hold them off!" I said to the two sangheili in their ghosts, and they immediately opened fire. plasma shots riddled the sky, and the falcons fired a few missiles. Me and the infantrymen, along with my tank, went through a crowded building area and saw the spartan and the tank, with his infatry. "Fire cannon! Infantry, proceed to attack!" I yelled, as the cannon fired with a booming, powerful shot. The infantry got together and opened fire on each other. With raging roars and screams, the blood quickly spilled and gushed. "Pilot, get me to that area over there" I pointed to the building with tall spires. "Yes Commander" and he replied as he took me over there. I got out of the tank and threw a plasma grenade on a marines suit, and after he ran around in panic trying to get it off, if detonated. I ran over and shot my carbine through the chest of UNSC marine and busted his face across with a melee attack. The spartan and I looked at each other, and I ran right at him, with my plasma pistol ready to fire. He fired up a bubble sheild and ran off with a few marine's and shouted "I'll get them while you come out to defend the tank!" "Yes, sir!" they said back and ran towards the tanks, shooting some of my sangheili forces. My forces were obliterated one by one, and I came at them. However, the spartan grabbed my arm and punched me smack in the face. It hurt, but I sucked it up and dodged the next one. I used my plasma pistol and hit him in he gut, then kicked him to the ground. Grabbing the carbine, I aimed at his head, but before I fired, he quickly got up and threw me over, and threw some dirt into my eyes. God, it was painful. He tackled me and got out his pistol. Explosions and gunfire riddled the background, full of violence. I was blinded, I shut my ees and ran randomly at him,accidentally headbutting him. We both fell back in a daze, and I forced my eyes open. Blood shot, I barely saw his grey and red armor and got the carbine out. Shouting in my alien tongue, I ran over and striked his arm with the carbine. Some electricity scatered and buzzed, and as he groaned, he took it out and swung it at me, but I dodged. I grabbed it back, then shoved it to his face. He he flinched, and I sticked a plasma grenade to his damaged arm. He yelled and got his pistol out and shot me directly in the leg. I fell down to one knee, and looked up as he attempted a suicide attack, to kill me in the blast, but the grenade finally detonated. He flew up in the air and landed in a thick thud. I was relieved that was over, and I looked across at his tank. My two ghosts fired at it, moving around to avoid the machine gun of it, and just the -boom!- the tank exploded, with the man in it dead, slouched over his controls. The falcons flew off before the ghosts could destry them. They were lucky. The other marines tried to fall back, but it was too late. The wraith tank fired at them and took em all out. one of the sangheil in the passenger area yelled out the cry of success. They all cheered. But then they saw me. I had a gunshot in my left leg that bled continuously and my eyes were bright red, squinting. They ran towards me and called up the battlecruiser for asistance. After a while, the ship came out from the sky to our position. As it landed, the medics, about three of them, came out in a rush to me. They checked out my eyes and the bullet wound, and applied some antiseptic. They helped get to the ship, and one of them told me "I'ts going to be ok, sir, we need to get you to the healing station in space". The battlecruiser started up, and we ascended into space, with my forces down below heading back to the city to tell the outcome of the battle.